A number of the people that sign-up over our program to Start Your Own Gold Mine have an idea that such business may be converted into a public company. A public company is allowed to offer its shares to the general public, its shares may be traded on the publicly available stock exchanges. In general with such a company, one may ask not only friends and partners to participate in the startup, but also the general public. We are providing a straightforward consulting contract to people interested to start quickly into gold mining. This program is for the time being provided to interested people all over the world, with the focus on Tanzania. While we do have other countries available such as Ghana, or Argentina, the focus in 2014. is on Tanzania. Now many are asking themselves on how to start gold mining business. Some of those people are really into the idea to use all the available information, the feasibility, calculations, and documentation to start a public company. An idea of a client from United States is that companies may start as public company not as direct mining companies, but rather as financing and managing and acquiring the royalties and similar interests derived from the gold mining production. Focusing on acquiring the existing royalties or financing projects that are in the development stage. A royalty company may have its share higher valued on the stock market than a common mining company. Alright let us keep that in mind. There is also an option to purchase a ready made public company, that may already have a credibility and a credit history. If such company is based in United States, and over six years old, one may get access to huge commercial credit line and cash credit for rapid expansion. We keep that in mind. We are handling here people from all over the world. In most of countries there are public companies. That means one need not use only United States based public companies. There are global options, and one may enter into the publicly traded shares and stock exchanges with United Kingdom or even Gambia. A public company may be registered anywhere globally. It may be also offshore. An alternative to public company may be a solution such as a credit union or a financial services provider company that may manage funds on behalf of the clients. Such a credit union may be organized in Sweden but is limited to the group of people with the common bond. One cannot just advertise to public and seek finances for gold mines, but one may acquire new members and use their capital in mining operations. Another alternative is a New Zealand financial services provider company, that may be authorized to take term deposits from public and which does not need to comply to New Zealand banking laws, as long as such financial services are offered to non-residents. Noted. Some people also tend and use the 20 partner limitation in a limited partnership organized in United Kingdom or in other countries. Such a limited partnership may accept up to 20 partners without a need to comply to the strict laws on securities. Good idea. If you are asking yourself how to start your own gold mine the best answer is simple to sign-up, receive all the information and start the gold mine yourself with our guidance and consulting. You are benefiting yourself the great deal, as you will now waste your time, and while time is money, we are sparing your time and money. However, if you are thinking to use the program to Start Your Own Gold Mine for the purpose of opening a public company, before you even started, that is really a wrong idea at the wrong place in time. You have to follow logical steps, and not rush with ideas that are not ready for the real world. I have seen few of our potential clients have gone the wrong way. They have received the information and were thinking, that is great, let me go to my investor and present the information to raise funds. Or let us open a public company. While it may certainly be true for me, that I may open a public company tomorrow, I am already in business and in knowledge, and have the Know-How and all the resources necessary to claim a new publicly traded business. But you are most probably not. You still need to setup yourself, you need to put the foundation in place, you need to establish organization, management, a sustainable gold production. If you tend to deviate from the program guidelines, this program is not for you. If you actually go into deviation from this guideline, you are going to spend considerably more time to reach your goals. We speak of true gold production within 45 days. I have observed in last months few o individuals have deviated and did not yet reach the goal with the idea that was not along this program. Do the program first, Start Your Own Gold Mine, and then think of expanding it, or moving in with the publicly traded company. There is a certain order of precedence that has to be followed, especially if you are looking to open up your own gold mining company that shall be publicly traded. Establish your own gold mining project. We have all the tools, resources, knowledge, skilled people, geologist, mining claims, professional US based patented equipment, efficient technology, even the collaboration. It is much worth what we are offering, and the offer is for the time being. Use it now. 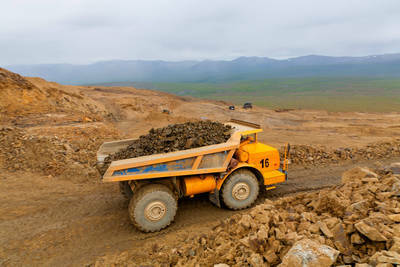 You need not more than US $22,000 (even less) to come to the point of time where you have your own gold mining operation, your own land or mining claim under control worth alone minimally US $100,000, your own company, your assistants, your place of living, offices, your accommodation, tools and resources, equipment, and whatever is necessary that you may be running your first gold production. You will start within 45 days if you provide what is being advised. Once you have started your gold mining company, you will than be faced anyway with the questions on the future structure of your mining operation. You are going to be provided with full business plan that you may use for your financiers, your investors, or for the public. And we can provide you with all the necessary services along that line that your business expands and if you wish so to go public as publicly traded company. We have full services for that. But not the other way around. You did not meet me, you have hardly held some gold in your hand, and you are thinking of a publicly traded company. It is too early. Put logical steps in their logical order of precedence. I have registered hundreds of companies for our clients in last 12 years. Being a corporate specialist and business development manager, this is the best advise for you. You will have the best resource to offer to your public or if you wish, you may have best records, documentation and evidences of your gold mining business if you make it yourself. Doors are open. Those services are directly provided and available right now for our clients.